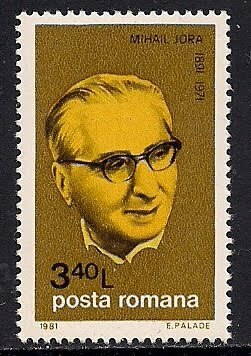 Nihail Jora(1891-1971), Romanian composer, studied at the Conservatory, and then at Leipzig Conservatory. He founded and chaired the Romanian Composers' Society, taught at Bucharest Conservatory. He composed ballet music and orchestral works.